Grain elevator sunrise at Pontiex, SK. Copyright by Bob St. Cyr. 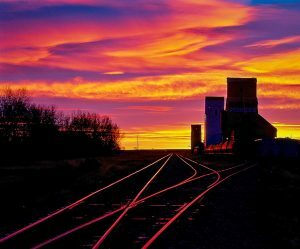 I’d like to welcome Bob St. Cyr as a new contributor to Grain Elevators of Canada. Bob is a fine art photographer and has shared a few of his stunning images with this site. Previous PostPrevious Welcome, Mark Zulkoskey!